The last 12 hours of Amazon Prime Day sale has started and this time around, we have covered the best audio deals of the day in the list. 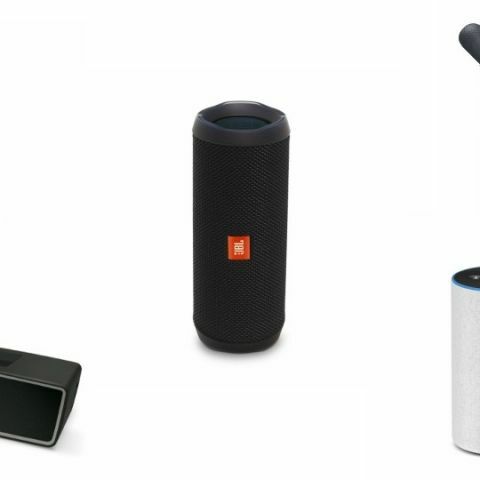 Our list consists of products ranging from Amazon’s smart speakers, portable speakers, headphones and more. The Prime Day sale is about to end in a few hours and we have found some interesting deals that you should check out before the sale ends. The gadgets we have in the list are from some well-established brands like Bose, JBL, Sony, and more. As we all expected, Amazon dropped the price of its own devices tremendously in this sale. The Amazon Echo is a hands-free smart speaker that issue commands using your voice. The speaker can also make calls, order food, book a cab and more. Click here to buy. The Amazon Echo Spot works just like the company’s regular lineup of smart speakers. However, the spot comes with a display. So you can enjoy a video as well as audio content. You can also use it to make video calls to other users. Click here to buy. The Bose Soundlink Mini 2 is a compact speaker that lets you listen to music by pairing it with a smartphone via Bluetooth. As per the company, the speaker can provide up to 10 hours of audio playback on a single charge. Click here to buy. The JBL Flip 4 is a waterproof speaker which comes with an IPX7 rating. The device can be connected to two devices at once. As per the company, it can provide up to 12 hours of playback on a single charge. Click here to buy. The Sony SRS-XB30 is a water-resistant speaker which comes with IPX5 ratings. As per the company, the speaker can deliver 24 hours of music playback on a single charge. Moreover, the users can connect up to three devices at once. Click here to buy. The Sony WI-SP500 is a sweat and waterproof wireless headphone which comes with an IPX4 rating. It comes with an inline remote and microphone that allows you to take calls and manage audio tracks without interrupting your workout. As per the company, it has a battery life of eight hours, Click here to buy. The Bose QuietComfort 25 is an Active noise-canceling headphone, which features an in-line remote and microphone to manage audio tracks and calls. The headphones also come with a compact case for easy storage. Click here to buy. The Ant Audio H21 Bluetooth Headset features a Bluetooth 4.1 connectivity. It is a splash proof device, which comes with an IPX4 rating. The company claims that it can deliver four hours of audio playback on a single charge. Click here to buy.